Iron is the second most abundant metal in the earth after aluminium. 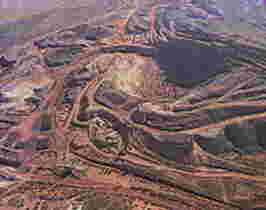 In Australia, iron ore ranks as the second largest mineral industry after coal. South Australia's reserves of iron ore lie in the Middleback Ranges on Eyre Peninsula. The principal ore bodies being Iron Monarch, Iron Knob, Iron Prince, Iron Baron, Iron Knight, Iron Princess, Iron Queen, Iron Chieftain, Iron Duchess and Iron Duke. The Iron Duke deposit was first mined in 1990. Production of Iron ore in South Australia has increased from 7,000 tons in 1891 to an annual three million tons a hundred years after BHP started its operations in 1899. Iron ore is a bulky, low priced commodity and its mining can only be economical if transport costs can be kept to a minimum and the deposit is large and easily accessible. Mining of this mineral first occurred from small deposits close to Adelaide for use as a flux in the copper smelters at Kapunda, Burra and Wallaroo. However by 1870 it was proposed that 'an address be presented to the Governor to make provision for the granting of a $4,000 bonus for the first five hundred tons of markable pig-iron smelted from South Australian ore'. The first iron ore was produced at Gawler in 1871 followed by smelters opened at Mount Jagged near Victor Harbor in 1873. Early in 1879 the Port Augusta Iron Works were operating when Thomas and James accepted orders for brass and iron castings of all descriptions. They called the attention of sheep farmers, wheat growers, Road Boards and District Councils, to the fact that they could supply them with all kind of castings from their works at the shortest possible notice. 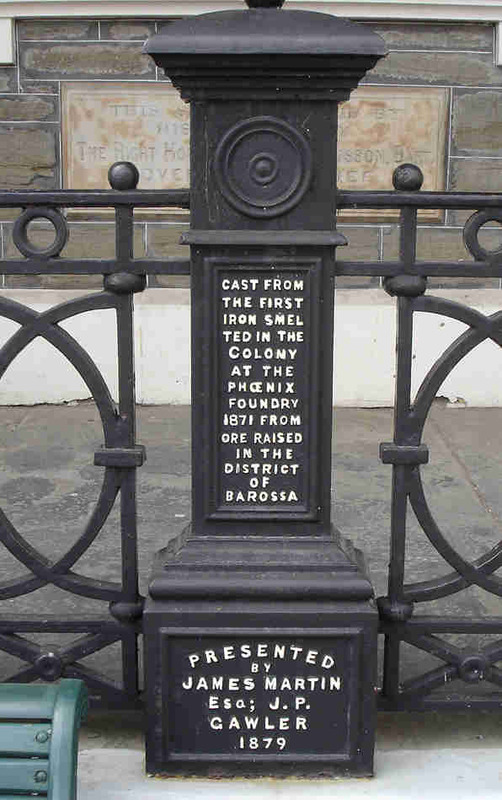 In 1890 the Iron Monarch Company sank several shafts near Iron Knob but only found copper. During the early 1890s the Mount Minden Mining Company worked leases at the Iron Knob and Iron Monarch deposits. In 1896 it forfeited these as a result of non payment of rent during the previous three years. Now it was BHP (Broken Hill Proprietary) who pegged out claims over the area to secure its supply of flux for the Port Pirie smelters. The leases were granted on 2 September 1899, at a cost of $4 per year, and extended in 1920 and 1937. The last extention was granted on condition that BHP would build a blast furnace at Whyalla. There were also several individuals who applied for mining leases. In June 1899 Robert Dalton Hale applied for nine minineral leases of forty acres each. Most of them found that it was not possible to work them and tried to sell their leases to larger companies. Initially the ore was taken by bullock teams to Port Augusta and loaded on barges for transport to the Port Pirie smelters, replacing the flux previously obtained from Donnelly's Quarries near Quorn. By 1902 a tramway to Hummock Hill (Whyalla) and jetty had been completed, robbing Port Augusta residents from many job opportunities. In 1907 the mine employed sixty men who produced 2,500 ton per week. After 1915 production of iron ore increased as it now supplied the steel works at Newcastle. 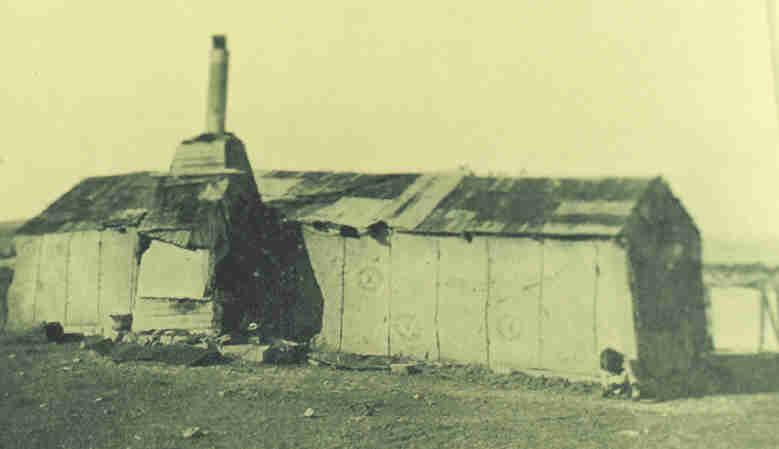 Living conditions were still of a very primitive nature with most people living in tents. However with continuous, and large scale, mining operations a town was established to cater for the miners (250) and their families. In 1907 it was big enough to have its own Athletic Club. On 2 September it held the annual sports program with some children doing very well. E. Lawrie came first in the girl's race for both under 12 and 16 years. The Employees Handicap was taken out by E. Piper with M. Callaban second and J. Fraser third. 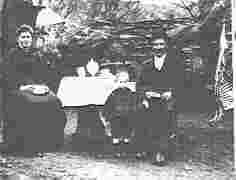 By 1915 the town of Iron Knob was proclaimed and within six years it had a population of 528. Eventually it increased to some 700 people, housed in about 200 houses. Most of these houses were built of wood and iron but some brick houses were added later by the South Australian Housing Trust. When fully completed the town had a post office, telephone exchange, swimming pool, hotel, churches, school, hostel, tennis courts, oval, institute, library, gardens, five shops and a cemetery. Among the earliest to be buried at Iron Knob were Edith Emma Rankine, the wife of Andrew Rankine, on 29 August 1909 and Hazel Eleanor Isabel Hall, the ten months old daughter of Horace and Isabel Hall, on 11 October 1913. In March 1930, the Adelaide Advertiser reported that the chief source of mineral wealth in the South Australia was Iron Knob, which in 1929 produced 847,813 tons of ore valued at 974,985 Pounds. During that year the value of all mineral production amounted to 1.3 million Pounds. Another township, Iron Baron, was constructed during 1937-8 to house the men, and their families, working at this quarry. Today iron ore is mined by open cut method, crushed at the mine site and transported by train to Whyalla.